With statecharts, we can model behavioral systems like machines, robots, mobile apps and more. For safety critical applications it is necessary that they are failure safe. We need to ensure this with absolute certainty. YAKINDU Statechart Tools’ configurability can help to achieve this, for example by combining it with a model checking tool or otherwise integrating it into existing toolchains. Subsequently, we present a model-checking approach for statecharts with YAKINDU Statechart Tools and the Gamma verification framework. Currently, Gamma uses the UPPAAL verification engine, however, a new verification engine named Theta is already in development. UPPAAL is an integrated tool environment for modeling, validation and verification of real-time systems modeled as timed automata, extended with data types (bounded integers, arrays etc.). It has been developed in collaboration between the Design and Analysis of Real-Time Systems group at Uppsala University, Sweden, and Basic Research in Computer Science at Aalborg University, Denmark. Theta is a framework for abstraction refinement-based model checking. It supports various kinds of formal models and uses different algorithms and strategies. It consists of reusable and combinable modules. Theta is developed at Budapest University of Technology and Economics. This framework will be easier to integrate into existing toolchains than the UPPAAL integration explained in the following. The traffic lights of 51st St and 2nd Ave shall never be green at the same time! Otherwise this would lead to serious accidents. The following image illustrates the trafficlight statechart. This statechart shows one traffic light. But we need two and later even more instances of this state machine. This feature is in development for YAKINDU Statechart Tools. With the Gamma project, we are now already able to create a statechart of statecharts for verification purposes. 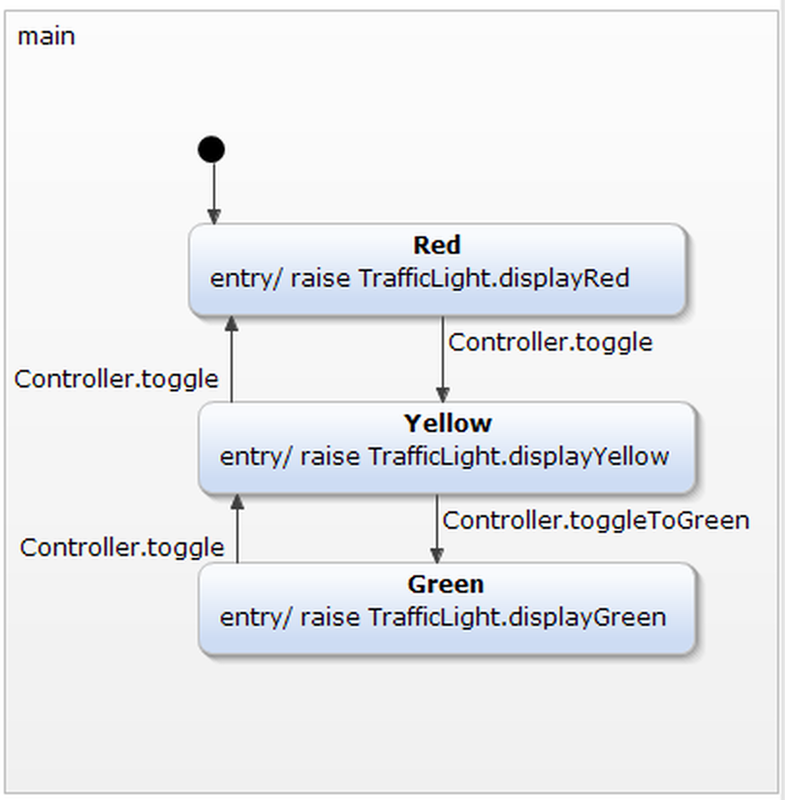 Therefore we create a new statechart Controller with two interfaces I51stStControl and I2ndAveControl. The integration of UPPAAL is a bit complicated. That’s the reason why a new verification engine Theta is under development. With the integration Gamma you can do model checking on your YAKINDU Statechart Tools and thus create robust system models. You can integrate all tools within one Eclipse application and do not have to switch between different applications.